Early in the Second World War, a young man in a small Hungarian town, along with a number of other Jews, started to prepare against a German invasion. It eventually happened on 19 March 1944. They survived, because they faced the challenge by loosening ties to their jobs, possessions and a normal life; moving in anonymity from city to city. The man was unable to persuade other members of his family to go with him. At some risk to himself, he returned at least three times to plead with his relatives, pointing out to them the growing persecution of the Jews, and later, transportation to the concentration camps had already begun. He could not convince these Jews to take action. As their desperation mounted, they clung more determinedly to their familiar way of life, their homes, their businesses, their possessions they had accumulated through hard work over a lifetime. The more their freedom was restricted, the less able to contemplate independent action did they become. They became sapped by ever greater anxiety. The less they found strength in themselves, the more they held onto the little that was left of their past security, by then, in reality, a mere symbol of past security. These symbols, their home surroundings, possessions, money or jewellery some thought would appease the Nazis, all now endangered life, and with each successive visit, the young man could see they became more incapacitated, less willing or able to flee with him, more frozen in inactivity. The facts of the Nazis intentions were learned firstly in Budapest. 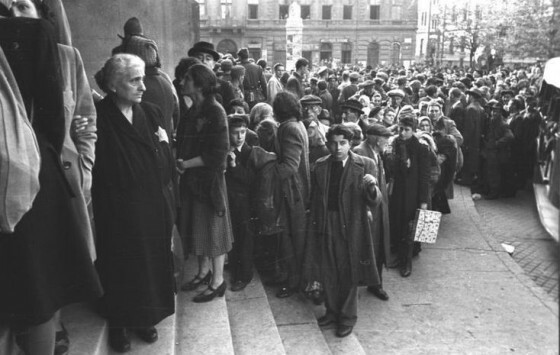 Detailed accounts have been given of the desperate but fruitless efforts made by small Jewish groups determined to survive, but equally determined to save others. Messengers were sent into the provinces to warn Jews that deportation meant death, but their warnings were ignored because most Jews refused to contemplate their imminent annihilation. The reason for such refusal has to be found in their inability to take action. Many Jews who on the invasion of Poland (September 1, 1939) were able to survey their situation and draw the right conclusions survived the war. As the German soldiers approached, they left everything behind and fled to Russia, much as they distrusted the Soviet system. There, while badly treated, they could at least survive. Those who stayed in Poland believing they could continue with life as before sealed their fate, and thus fell victim to more than an inability to comprehend the price of inertia. Recently, research carried out by Hammonds Furniture concluded that Britain was a nation of hoarders – the average person accumulates more than a tonne of unwanted stuff, and a quarter of the population said they had been forced to stop using a room because it was so full of stored possessions. What have Psychologists found that casts light on how we view possessions today? For most people, one of the most difficult obstacles to getting rid of possessions is the feeling of security they attach to possessions. This is just one of many emotional attachments that people have to possessions, but security issues are the biggest for many and unless addressed, they will probably always have an issue with possessions. Some examples of security issues: Having a room full of clothes means you’re prepared for any situation. Having a big home means you’re prepared to host any event, ward off any type of weather, hold any type of possession, and accommodate any size family you might have in the future. Having a car means you’re prepared for any emergency. Having a shed full of tools means you can deal with any break down in the house or car. Having the latest gadget means you’re up to date with the latest technology, and won’t risk being seen as outdated. Having a lap-top or tablet means you can work anywhere, and be in contact at all times, and so on. Most people have possessions for these kinds of security reasons and more. But do possessions really provide security, or is it an illusion? Often we don’t really need those possessions as much as we might think, and even when we do have them, we’re not as secure as we might think. If you track what clothes you actually wear over the course of a year, you find that you never needed your “just in case” clothes and you only wore certain clothes that you like or really need. The extra clothes can be eliminated without any loss of “security”. People in smaller homes are no more susceptible to anything, and by eliminating space they eliminate waste, lower debt, and force themselves to make important choices about what possessions are needed. Even without a car, you can meet many needs by walking, using bikes, and public transport. In a real emergency, you likely would call an ambulance in any case. You don’t really need the latest gadget. What you’ve been using will work just fine for you, and when you really need to upgrade, you’ll know it. You don’t really need to be connected all the time, everywhere. In fact, there was a time when you were never connected to the online world (not that long ago). You can do it for an hour or so until you get back to your computer. Let go of the need for possessions by realizing you don’t need them for security. It is estimated that one to two million people in North America are living in so much clutter that they can barely walk through their homes, or find a place to sit or a surface to rest a plate. Some hoarders for example, are not able to use vital areas of the home like the kitchen or bathroom, and being unable to sleep in the bed or only a small area of the bed because of excess clutter. Common signs of hoarding include acquiring more than can be used, keeping useless items such as newspapers, old containers, and trash; and possibly restricting others from using, touching or borrowing those items. Symptoms may be paired with procrastination, a lack of organization, and poor decision making that may result in the impairment of typical functioning, for example, frequent absence from work. Compulsive hoarding is known as a debilitating condition that can destroy relationships and tear families apart. Statistics show that 15-30% of individuals diagnosed with Obsessive Compulsive Disorder (OCD) also exhibit hoarding tendencies. Recently, studies have also shown that individuals who have both OCD and exhibit hoarding symptoms were more likely to have experienced at least one traumatic life event in comparison to those with OCD alone, suggesting that the act of compulsive shopping and the obsessive need to collect and keep material objects may serve as a coping mechanism for grief, loss or post-traumatic stress. Accumulating “stuff” fills the emotional hole left by the trauma and allows individuals to avoid dealing with the pain. Later removal of these items can trigger high levels of anxiety, especially if someone else gets rid of these items without the hoarder’s permission. Hoarding often results in unhealthy attachments and an inability to form meaningful relationships with others. The attachment that hoarders assign to their possessions often takes on greater value than the attachment assigned to people. When given an ultimatum, hoarders will often choose possessions over friends and family. Some hoarders describe the intense emotion experienced when throwing out possessions as comparable to the emotion experienced when a loved one is lost. The facts show that most hoarders are single, either because their behaviour has driven away those around them or has prevented them from forming meaningful relationships. Television and other popular media have brought hoarding into view, hopefully sparking further research into the underlying causes of the behaviour. Hoarding literally creates a mess so visible to others, that the disorder is extremely difficult, if not impossible, to disguise. Such disarray leads to very serious health and safety hazards, causing hoarding to carry a great deal of stigma. 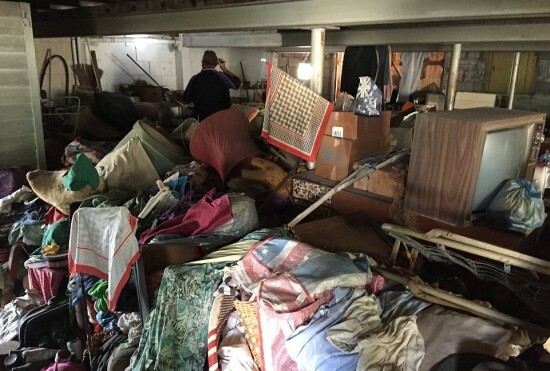 Without consideration, it is easy for people to assume that hoarders are merely “dirty” or “lazy.” In fact, these individuals are probably suffering from trauma-related psychological pain, and may require treatment by a mental health professional. It is important to recognize that the individual will need to be approached with empathy and understanding. Hoarding is a serious, complex disorder, one that takes time and the assistance of professionals to be treated. Why have reality TV shows on hoarding become so popular? It would be good to think that it’s because we want to learn more about the human condition, and that we want to see people succeed. But the truth is, people are fascinated with other people’s problems. 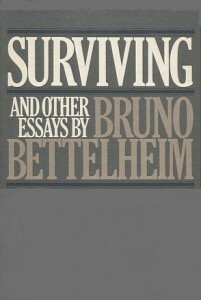 It’s like watching others’ mayhem so we don’t have to deal with our own issues, and we can say “at least my life isn’t that bad.” But those who allow in the cameras remind us of the power of the human spirit, the willingness to face what needs to be faced…the determination to live, not simply survive. 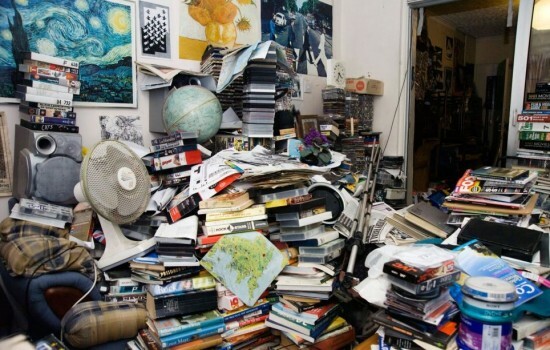 What should someone do if they think they may have Hoarding Disorder? If you suspect you, or a loved one, are suffering from this mental illness, you should contact a mental health professional for diagnosis and treatment recommendations. 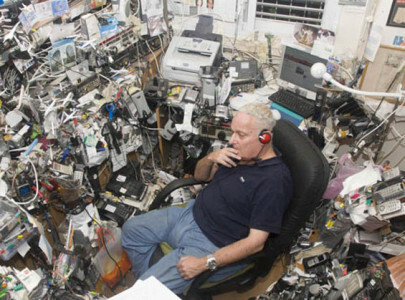 You can also visit www.compulsive-hoarding.org for more information.